My husband and I are super into movie nights. 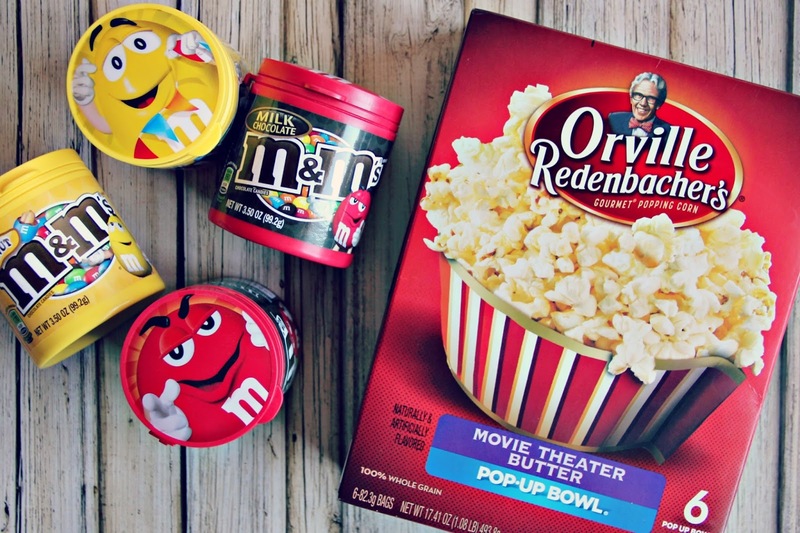 We don't typically go to the movies, we prefer to curl up on our couch and watch a movie there. It's more comfortable, you can pause if you need to, and we have snacks, lots of snacks, spread out on our coffee table. 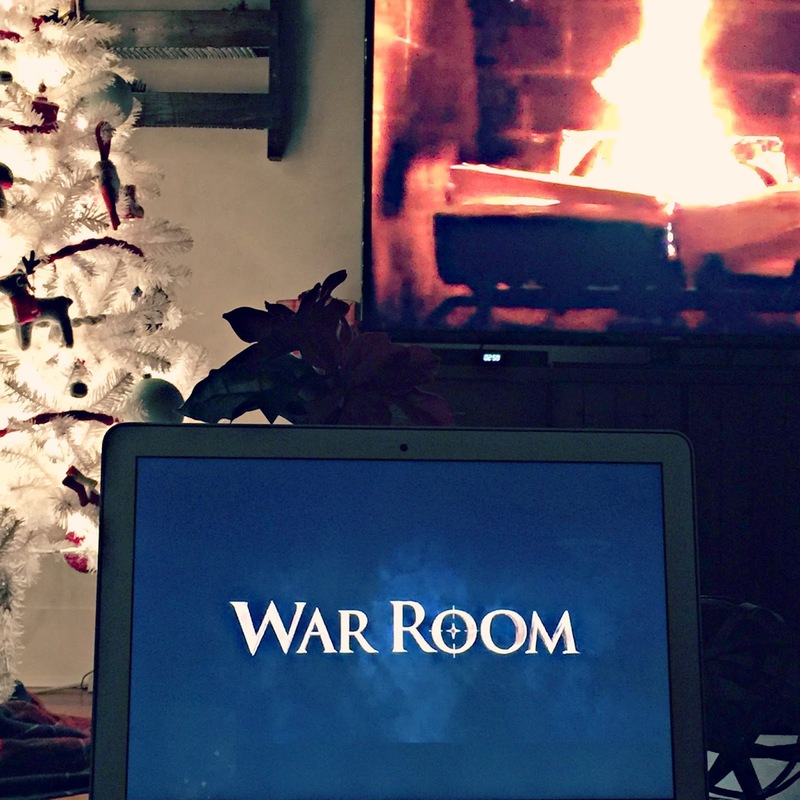 This weekend, we put a yule log on the TV, turned our Christmas tree lights on, and watched the new movie, War Room. With snacks, of course! Have any of you seen War Room?? You know when you watch a movie and you can't get it out of your head? That's how I felt about War Room. It's a movie with a message. A very important message about marriage. I'll be honest, at some points it was a little cheesy, but there's nothing wrong with some cheese! It's definitely a movie that will stick with you. It's now available for you to own, how about a last minute Christmas gift? Ok, back to the snacks. 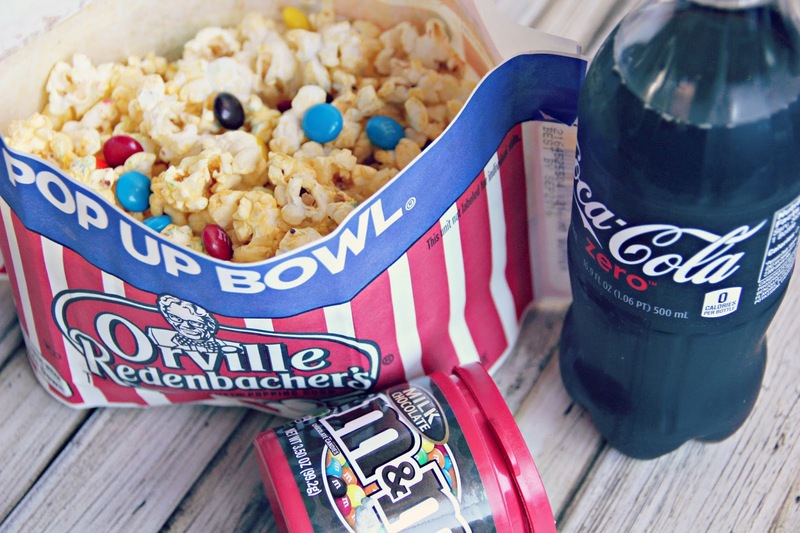 You might think that having popcorn, some candy, and a drink is enough. 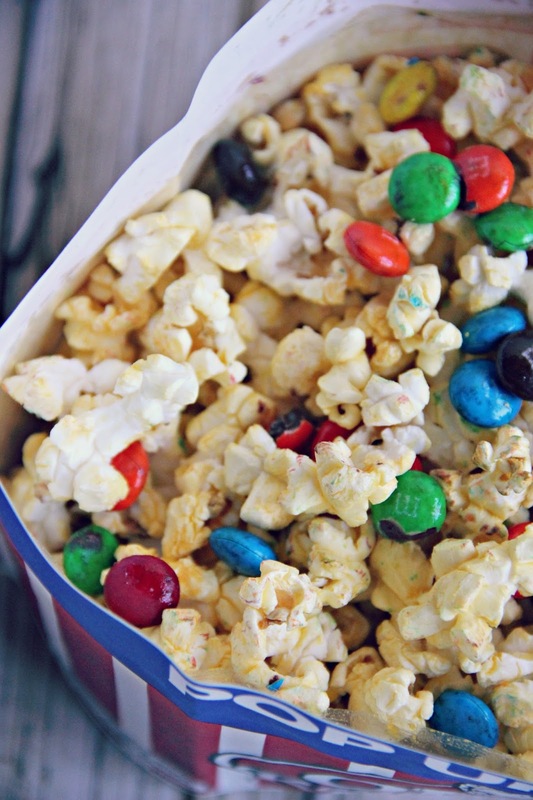 Well, let me elevate your movie snacking experience to a totally new level with this "recipe". 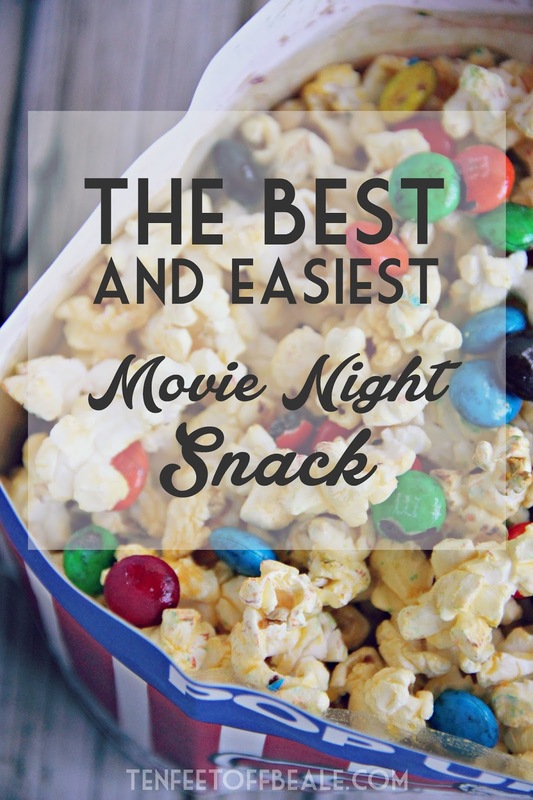 Ok, I don't even know if this is considered a recipe, but it's a secret movie snack that is brilliant and INSANELY easy. Seriously, anybody can do this!!! 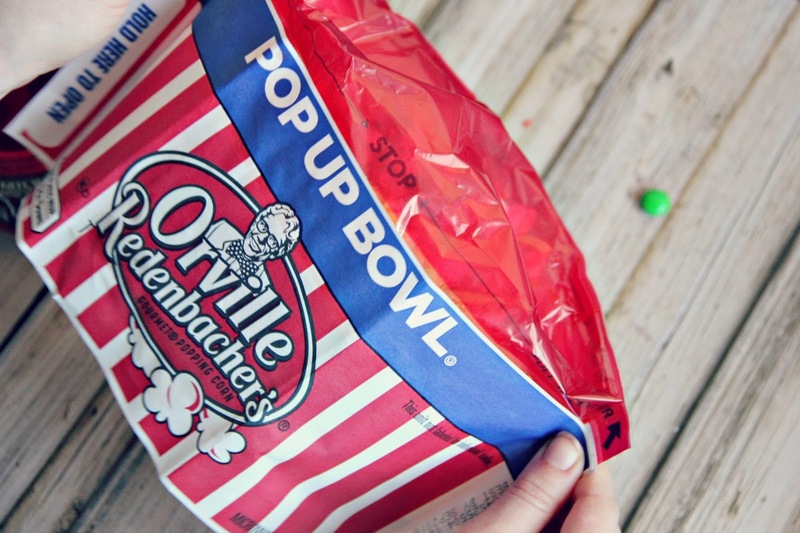 Microwave the Orville Redenbacher popcorn according to the directions on the package. 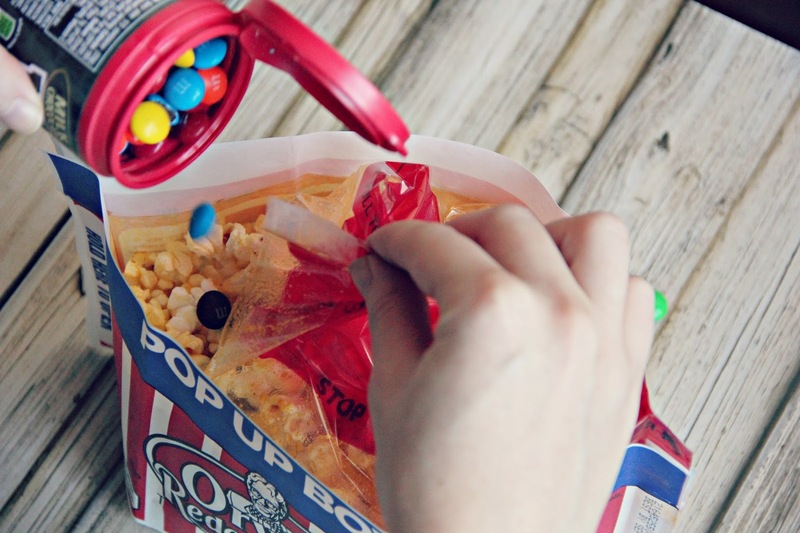 AS SOON AS it's done, open the bag slightly, pour in some M&M’S® Chocolate Candies, and shake the bag!! That's it. 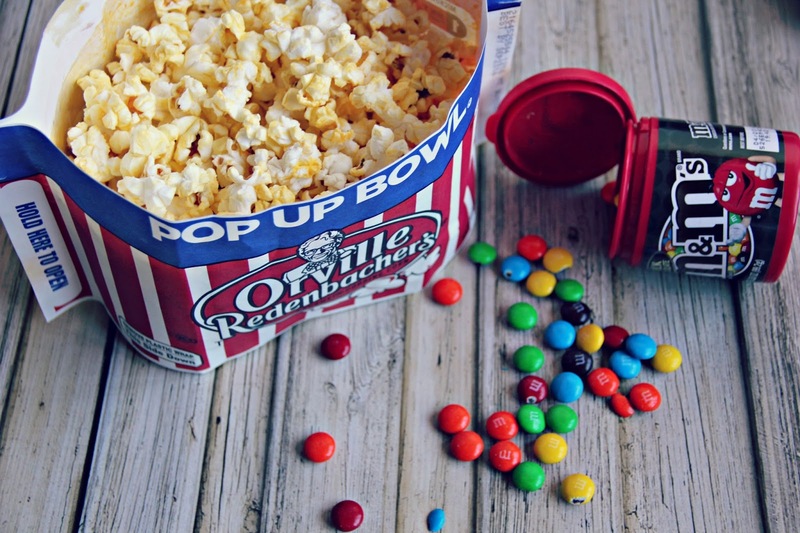 Basically what happens is when the M&M’S® Chocolate Candies are poured into the piping hot bag of Orville Redenbacher popcorn, they start to melt and form these gooey chocolate popcorn clusters. It's so good. TIP: Take a picture of this link now so you remember it!! Have you seen War Room??? I want to hear what you thought! !